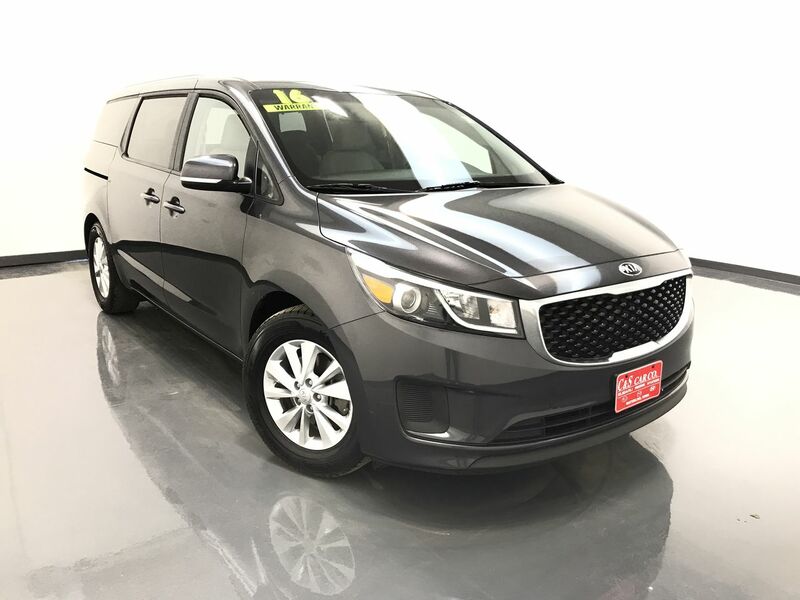 The Kia SEDONA LX is a strong competitor in the minivan marketplace. This SEDONA LX has heated front seats, a power driver's seat, keyless entry, remote start, front and rear climate controls, traction control with anti-lock brakes, a back-up camera with sensors, power folding exterior mirrors, power sliding side doors, rear window sunshades, Weathertech floor liners, a rear cargo net, a power rear lift gate, and an AM/FM/CD sound system with Sirius satellite radio and Bluetooth connectivity. Seventeen inch alloy wheels with Kumho tires and a 2" receiver hitch highlight the exterior. **One Owner** Call C & S Hyundai toll free at 866-212-8718 or locally at 319-291-7321.